KEW Manufacturers, exports & supplies Winding Unwinding Machine with high production output & efficient edge guiding function with more than 4000 installation in place all over India and overseas like Saudi Arabia, UAE, Dubai, Sharjah, South Africa, Nigeria, Ghana, Congo, Kenya, Zambia, Sri Lanka, Bangladesh, Malaysia, Pakistan, Nepal, Russia, Thailand, Indonesia, Brazil, Colombia, Venezuela, Argentina, Mexico, Canada, etc. making us the biggest manufacturer, exporter & supplier of Doctoring Rewinding Machine. 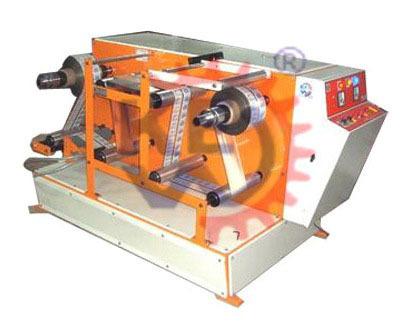 Doctoring Rewinding Machine can also be used as Winder Rewinder for Inkjet or Batch Coding application.